I got so excited when my husband got two passes for the Middle East International Festival 2009 (9th oct -17th oct) at Emirates Palace Hotel, Abudhabi. 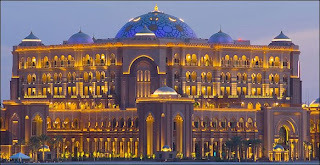 It is not because I have a deep desire to watch and cherish world cinema, but the anxiety to witness the land mark at abudhabi called as The Emirates Palace Hotel. Initially I had only wanted to visit the place as we had the pass to see the Iranian movie called None knows about Persian Cats but later we saw so many people religiously walked into the screening arena that we got into the seriousness of being an audience in an international movie festival. It was my very first experience attending such an occassion. When I entered the hotel gate, I almost felt the same as I felt in 1995 when I first saw the Taj Mahal at Agra. 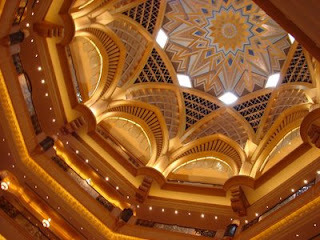 I stood astonished looking at the majestic beams, the art work, the lighting and the overall appearance of this hotel. As we walked on, I felt as if I am in the shooting spot of some shankar's movie. Every thing was so extravagant and rich that I felt I dint deserve this kind of a place. For example, they had hung a wall carpet which covered two floors of the hotel. Just imagine the dimensions of this beautiful carpet. The carpet had the picture of the hotel itself in it during moonlight. Needless to say it was eye stealing. No one knows about the Persian Cats is the Title of the movie. It is a Persian film centered on Youth whose musical aspirations are crushed under the name of religion and law. Western forms of music is probably banned in Iran and so the youngsters who are good drummers, singers, guitarists are located in undergrounds so that the noise wouldnt be heard by the dwellers of the neighbourhood. I was startled to see how they had managed to live a life in the basements where there was little air with suffocation and isolation. They dint bother how the place was, or where it was, but just ensured that it was a secured place where they wouldnt be heard by others. Ashkan and Negar are aspiring to run shows in the abroad but they wont get visas as ashkan was imprisoned for singing once. Both are quite talented and want to get away from Tehran. They get introduced to a small time crook Nader who has a passion for music and movies.Nader watches loads of movies and has a taste for all kinds of movies. He also talks about the Indian movie sholay where hema malini dances on the glass pieces. It was a nice experience watching Nader's performance as a smart and an aggressive guy who would persuade the judge to release him for his crimes. His melodramatic approach was tickling and nice. The whole movie is about how Ashkan and Negar are trying to form a band. 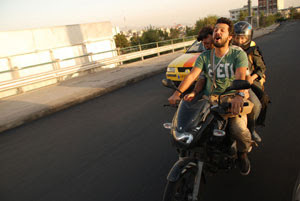 They go with Nader in his bike in search of instrumentalists, singers etc around the city of Tehran. Nader's role was played by Hamed - here is how he looks. Nader suggests that they should make a local show before proceeding abroad for their talent show. Enthusisastically the trio go in search of all instrumentalists etc. There are quite a number of songs in it. Despite my knowledge or taste in western music, I found the music was quite convincing along with the use of different musical instruments. The best part was the songs had some theme and were picturised mostly on the City life of Tehran. It was a totally novel experience for me that I am watching Tehran come alive infront of me. If not for this movie, I wouldnt have known about this place or people or the movie making style or the language! So I am totally convinced that such opportunities should never be missed. 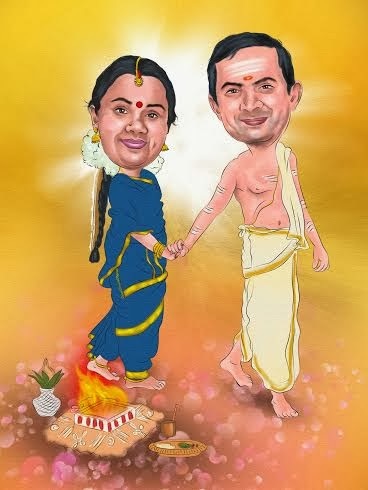 The movie had a tragic ending which was disheartening. Nader had tried to get fake passport for Ashkan (since he was imprisoned he wouldnt get his own passport) . The guys who assured a fake passport are caught by the police and nader totally breaks down on this. My question is how come such a smart crook collapses on this issue? He is passionate about music and he himself even sings and tries to amuse them. Still, for his type of nature, such a breakdown was not somehow permissible or justified or I wasnt convinced on this change. Exactly on the date of the local show, after making all the arrangements, Ashkan searches for Nader and arrives at a party where nader is drunk and almost unconscious due to depression in the third floor of the building. The party is suddently attacked by police and people start running here and there. Ashkan tries to escape the crowd and jumps out of a window. He gets injured and dies instantly. Seeing this Negar also dies. So, thus ends the story. that is why the title none knows about persian cats. The title is justified because they wanted to start off their band go places and perform etc. But ultimately nothing happened and they die. It was depressing to see nader collapse like that and see them die. I was in this influence for the next two days that I told my husband not to watch MBC Max or MBC 2 since I became a little allergic to western music totally. The movie was good. I would give a special mention to Nader who had done a good job. Overall watching this movie was a brand new experience for me. We must continue to dream even though we might find it hard to achieve.